Jazz news: Thailand International Jazz Conference 2019: World-Class Jazz Artists Join The Stage Of The TIJC! Thailand International Jazz Conference 2019: World-Class Jazz Artists Join The Stage Of The TIJC! 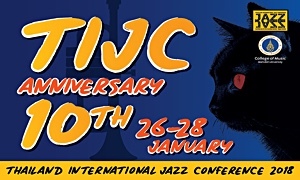 This January 2019, the Thailand International Jazz Conference or TIJC has proudly stepped into its second decade marking and important step in joining music culture. The College of Music, Mahidol University, host of the event, brings together the selection of the world-class jazz artists from America and Europe, the region recognized as producing the world's best jazz artists of today. Together with the renowned Thai artists that will give you the ultimate joy in TIJC 2019, the 11th Thailand International Jazz Conference under the theme Chill out Around Jazz", which will be held on 25-27 January 2019. Dr Narong Prangcharoen, Dean of the College of Music, Mahidol University said, this year's event is another important step for TIJC, with the mix of various styles of music. It's a step forward for jazz music in Thailand. However, we have to admit that the TIJC has reached this point with the cooperation of the world-class jazz musicians and many institutions. Over the past decade, the TIJC is like the centre and community of jazz that brings together the most jazz lovers from all over the country. With Jazz as a link, it gathered artists, audiences, students who join workshops, partners and sponsors. It is an exceptional value in today's society. “This year, TIJC is proud to present Russian jazz Trumpeter that come with the five-piece band (Quintet), with all divine musicians. A jazz band from Israel that ripped from the traditional style. A Trio from Germany that represents the Avant-garde Jazz. The top Spanish jazz pianist. As well as the top quality today's renowned Thai artists. The uniqueness that is the heart of every year TIJC, besides performances of the world-class artists, is the TIJC Jazz Camp activities from those artists. 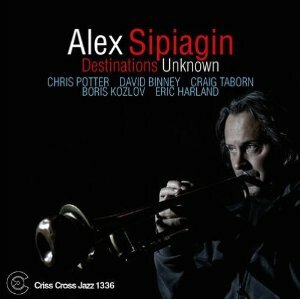 This year we have Alex Sipiagin, a jazz trumpeter from Russia along with his band members. 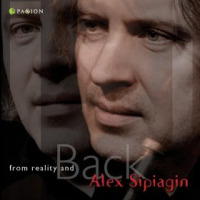 Alex Sipiagin will performs two concerts during TIJC, beginning with his performance with the Thailand Philharmonic Orchestra on January 26, followed by the concert of Alex Sipiagin Quintet on the night of January 27. In addition, all five musicians will also give knowledge to the youth in the TIJC Jazz Camp activity from 21- 23 January 2019. All the fan of Jazz, especially Trumpet shouldn’t miss”- Dr Narong said. Let see the highlights of the TIJC 2019, Mr. Darin Pantoomkomol, Chair of Jazz Department, College of Music, Mahidol University said that the artists who have joined this year are the top class of the world. 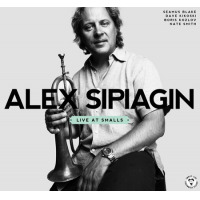 Alex Sipiagin, trumpeter with the unique styles and flavours, mellow, aggressive and complex. 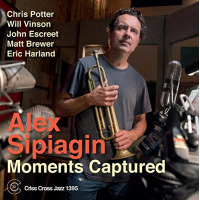 He’s one of today’s leading trumpeter in the world right now. 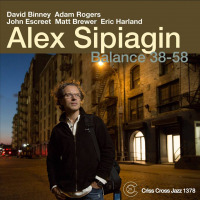 This year, Alex Sipiagin comes with a five-piece band (Quintet), with the best jazz-rock guitarist David Gilmore, the most in demand bassist in the industry like Scott Colley, as well as Ari Hoenig, the renowned drummer in Metric Modulation style, together with his beloved pianist, John Escreet. The next highlighted band is jazz from Israel, one of the best jazz bassist, Omer Avital with pianist Eden Ladin, together with the saxophone that comes in pairs, Asaf Yuria and Alexander Levin and drummer Ofri Nehemya. Followed by the Trionauts from Germany, led by progressive jazz musicians like Emanuel Hauptmann (drums), Tino Derado (piano, keyboard) and Björn Werra (bass), which is notable in using innovative and new sounds that always excited the listener. Abdón Alcaraz Trio, another band that is a must see”, the Spanish top jazz pianists that will bring you a lot of joy from the crossover of jazz mixed with Spanish flamenco. Together with Verónica Sobrinos, the singer guaranteed with the award- winning of “The Best Flamenco Singer” from the Strings and Metals in the contest of Cartagena in 2014.—Mr. Darin mentioned various highlights of the TIJC 2019. In addition to world-class jazz artists that will be at the College of Music Mahidol University, Salaya, to rubs shoulders with all the jazz fans. 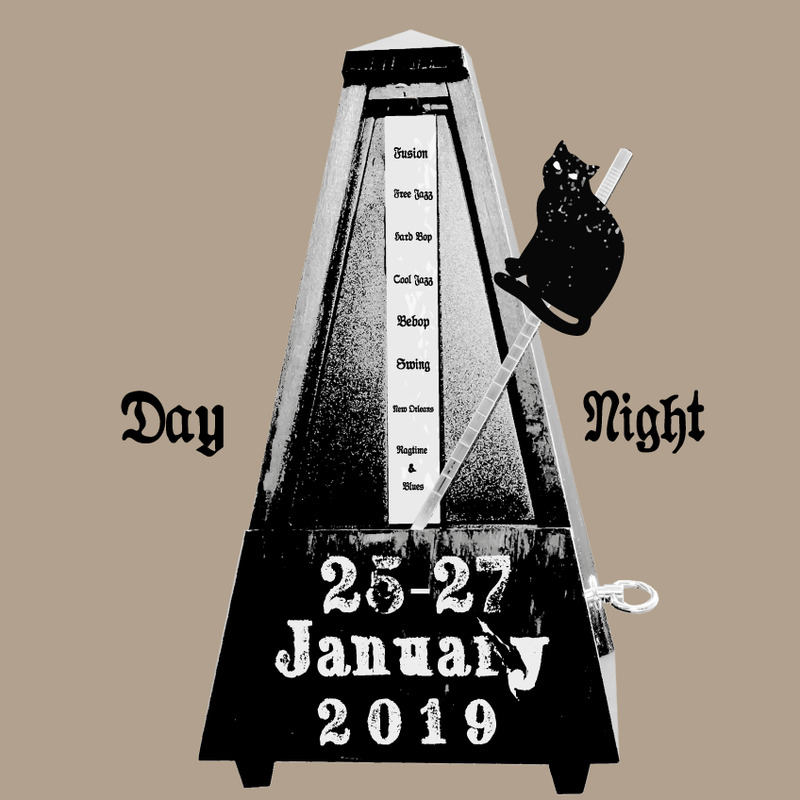 TIJC 2019 also presents well-known Thai artists like Polycat, an Indy-Pop group that brings together jazz and electronic music from the 80s and blend it seamlessly. There is also a show of May- Patcharapong Ruenghirunwong, the best fusion-jazz bassist in Thailand, with the international skills level. This is another commitment of the Thailand International Jazz Conference 2019 that will bring the varieties of jazz to merge into a musical friendship between artists and jazz lovers, to expand and grow sustainably. Come join us to create a movement for the music industry at TIJC 2019 on 25- 27 January 2019, at the College of Music, Mahidol University, Salaya.